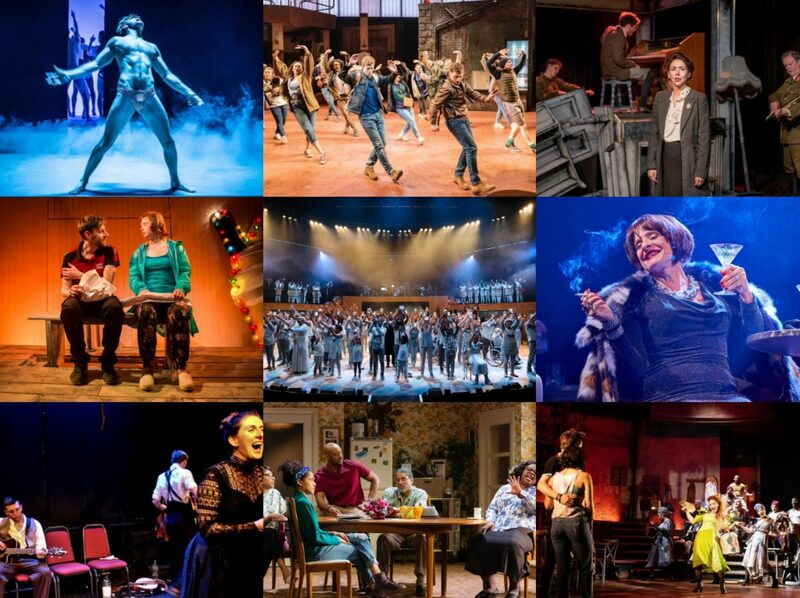 It is no surprise to anyone who reads this blog that any mention of Alexandra Gilbreath – recent winner of the Best Supporting Actress in a Play fosterIAN to be sure – sends me all a quiver. 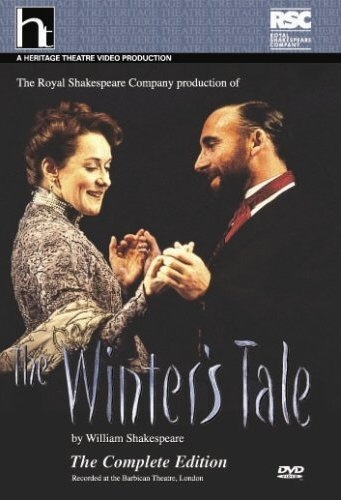 So when someone told me about this production of The Winter’s Tale which features not only her as Hermione but also has Nancy Carroll lurking in the ensemble, I was most keen to watch it. Plus there’s the small matter of Antony Sher as Leontes, an actor whom I am always intrigued to see more of as I’ve have actually had little experience of him as a performer. An RSC production from 1998, this was recorded at the Barbican and so as a straight filming of the stage show, it is free from the kind of directorial innovation that blighted (IMHO) the versions of A Midsummer Night’s Dream and The Tempest also covered this weekend. Instead, we get the theatrical experience minus the live thrill but with the added bonus of close up work. And it is a great bonus here. Sher does so much acting with his eyes as a paranoiac Leontes, mentally damaged as suggested by a prologue and incapable of not seeing the dark shadows in the corner of the room. The way his suspicions are aroused by Polixenes’ attentiveness to his wife is brilliantly done as she is actually suffering from pregnancy pain but Leontes misses the crucial moments and all too easily lets the darkness consume him. There’s a huge physicality to Sher’s performance as well, combined with his muscular voice which makes fearsome sense of this Leontes. It’s almost a little too much though as one is sometimes a little hard-pressed to understand why Hermione is so keen to wait for him (though this is as much a problem with the play as anything) and the pure virtuousness with which Alexandra Gilbreath imbues this queen comes close to making it an understandable choice. The best female part though is Paulina, the noblewoman who possesses the backbone to stand up to the king and is willing to sacrifice her own happiness in order to ensure his punishment remains fitting and Estelle Kohler is fantastic here, possessed of a great steeliness. The court scenes in Sicilia are the best bit of this production: the dark, almost Victorian aesthetic works well and with the likes of the aforementioned Carroll as a kindly play companion for the young Mamillius, Geoffrey Freshwater’s honest Camillo and Ken Bones’ misunderstood Polixenes filling out the ensemble, this is the show at its most compelling. That’s not to say the pastoral comedy of Bohemia isn’t well done, it is largely effective here but just doesn’t pack the same weight within the play. Emily Bruni and Ryan McCluskey’s young lovers are a little anaemic though Ian Hughes makes a strikingly manipulative Autolycus. Directed simply but effectively by Robin Lough, the billowing sheet of the design is effectively deployed in many ways including in the infamous bear scene and there’s a nice sense of pace about the whole production which made it highly enjoyable to watch; more so than just for the performances I knew I would like regardless.